Want to take your swimming club to the next level? Want to take your swimming to the next level? 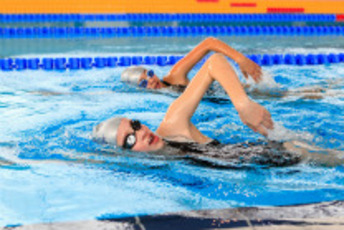 Or would your club like to come and experience the unique training environment available at The London Aquatics Centre? If you would like to book lane time please contact us, the venue manager will be able to inform you of the current availability. Please use the contact us form and add full detail of the nature of your booking and we will contact you to discuss further. One off bookings for the 50m lane hire in the Competition Pool are available to swimming clubs and availability is subject to events and regular club bookings. There is availability for lane hire on Saturdays between 12-10pm and on Sundays 7.00pm-10pm and very limited availability on weekday evenings from 8.30-10pm. Please note: All swimming clubs bookings will be dependant upon the correct venue booking forms being completed, payment being completed and all of the necessary insurance documents being filed and all other booking conditions being met as required under the terms and conditions. 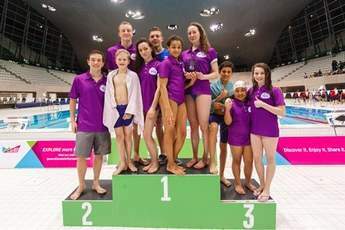 Get in touch to make a booking for your swimming club to use the London Aquatics Centre.